Prosecutors upgraded the charge against Fields from second- to first-degree murder during a Thursday preliminary hearing, and the judge certified it. Fields' defense attorney, Denise Lumsford, did not protest the upgrade, and Field himself was reportedly silent, AP reports. Heyer's mother was present for the hearing, which saw the judge also certify the charges of one felony count of hit and run, five felony counts of malicious wounding and three felony counts of aggravated malicious wounding. Fields' case will now be presented to a grand jury for indictment. The case attracted significant media attention due to its connection to the August 12 rally, which saw 14 others wounded as white nationalist and white supremacist protesters clashed with police as well as left-wing counter-protesters. Heyer, a 32-year-old paralegal, was one such counter-protester. Two police officers were also killed when the helicopter they were using to monitor the situation crashed. 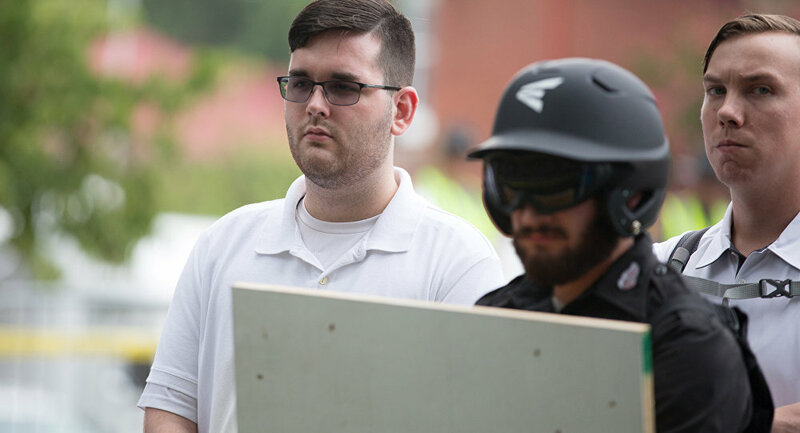 Lumsford has previously argued that the 20-year-old Fields was not a participant in the rallies, but a photograph taken earlier in the day places Fields at the scene. There is little doubt that Fields was behind the wheel of the car that took Heyer's life. Reportedly, Fields soiled himself during the attack and burst into tears when he later found out that Heyer had died. The violent protests attracted further attention when US President Donald Trump impugned "hatred, bigotry, and violence on many sides," instead of directly condemning white nationalism as many, including members of his own cabinet, had done. Virginia law defines first-degree murder as the "willful, deliberate, and premeditated killing" of another person. It is a Class-2 felony and can be punished with life in prison. Second-degree murder carries a maximum sentence of 40 years.